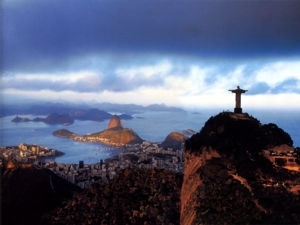 The 6th Workshop on Intuitionistic Modal Logic and Applications (IMLA) will be held in association with Unilog2013, which will take place April, 7th, 2013 in Rio de Janeiro, Brazil. The workshop continues a series of previous workshops which were held as part of FLoC1999, Trento, Italy, of FLoC2002, Copenhagen, Denmark, as part of LiCS2005, Chicago, USA and LiCS2008, Pittsburgh, USA and as part of the 14th Congress of Logic, Methdology and Philosophy of Science, Nancy, France, 25 July, 2011. Constructive modal logics and type theories are of increasing foundational and practical relevance in computer science. Applications of constructive modal logics are in type disciplines for programming languages, meta-logics for reasoning about a variety of computational phenomena and explanatory frameworks in philosophical logic. The workshop aims at developing and explaining theoretical and methodological issues centered around the question of how the proof-theoretic strengths of constructive logics can best be combined with the model-theoretic strengths of modal logics. Practical issues center around the question of which modal connectives with associated laws or proof rules capture computational phenomena accurately and at the right level of abstraction. It is planned to publish workshop proceedings as Electronic Notes in Theoretical Computer Science (ENTCS) or EPTCS. Furthermore, accepted papers might be invited to submit extended and revised versions to a special issue of a journal, to be decided.